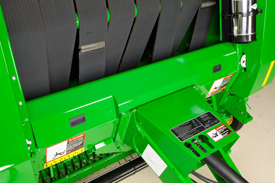 Mounted in front of the baler wheels and directly below the bale chamber, the pickup hugs the ground for clean crop retrieval. 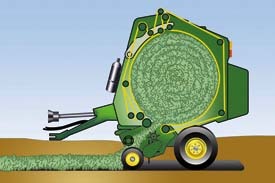 Hay movement is minimized. 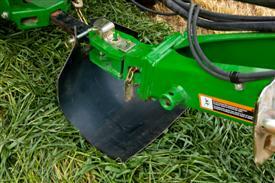 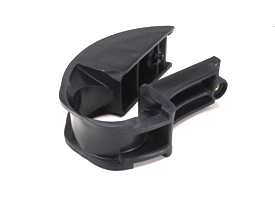 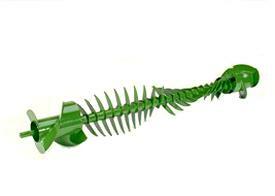 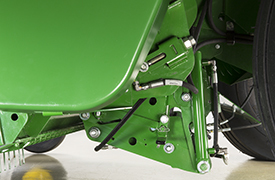 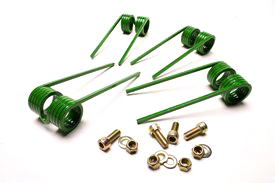 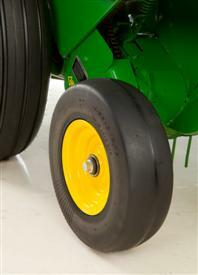 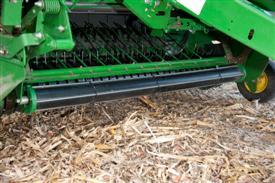 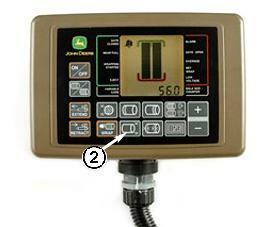 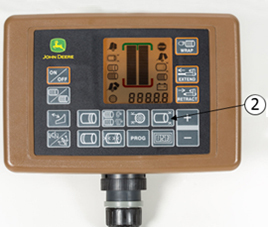 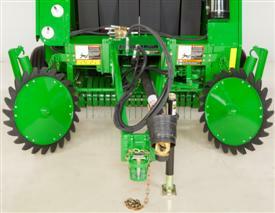 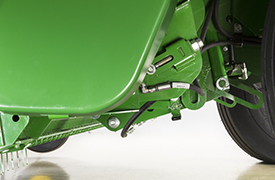 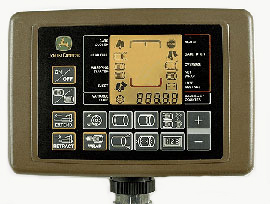 The small-diameter, low-profile pickup allows for good ground gauging and clean crop retrieval. 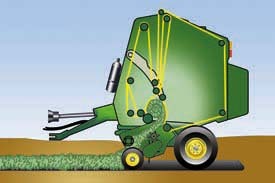 Side flares prevent hay from blowing off of the pickup ends, which reduces hay loss. 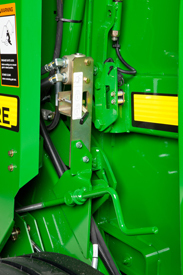 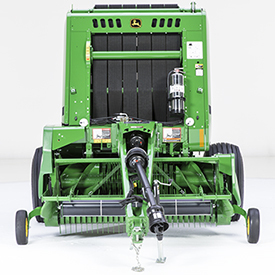 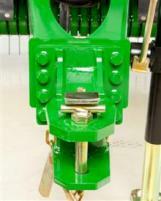 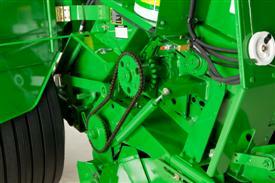 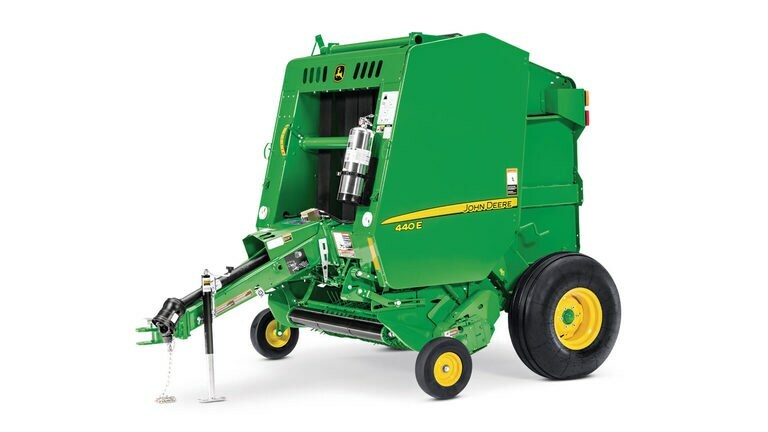 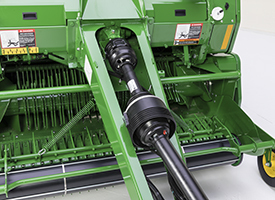 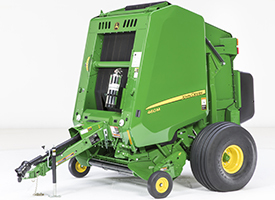 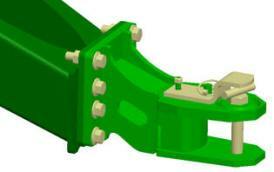 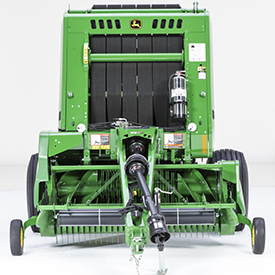 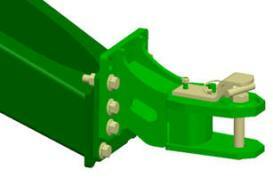 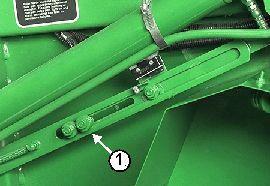 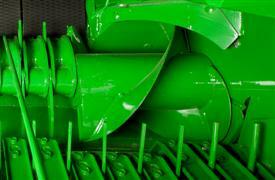 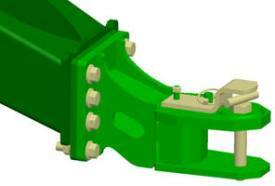 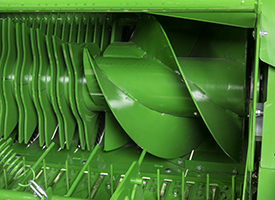 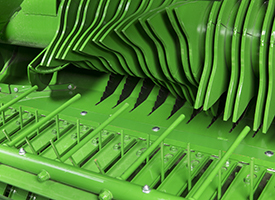 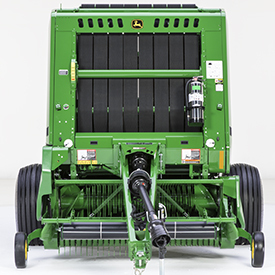 The closely-spaced pickup teeth extend to the baler side sheets to help build straight-edged bales. 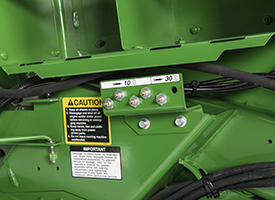 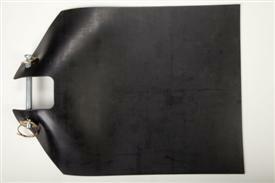 Standard on regular pickups, compressor rods are contoured to control hay over the pickup radius for positive feeding. 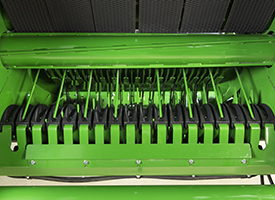 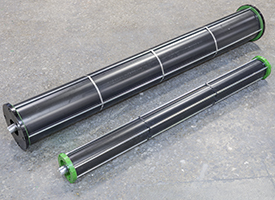 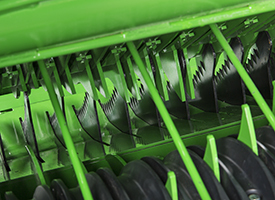 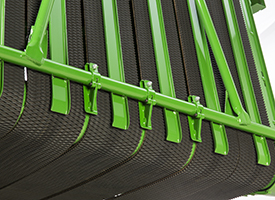 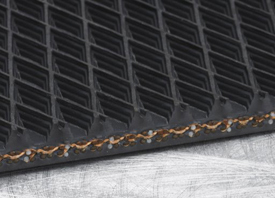 The compressor rack can be adjusted upward or downward to match the volume of material in the windrow and can be easily removed to match crop conditions. 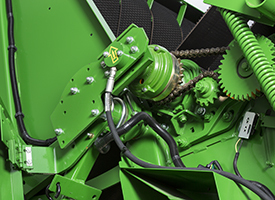 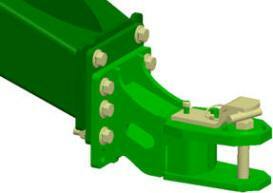 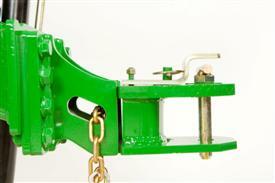 NOTE: Crank is not an option for the MegaWide High Capacity and Cutting (HC2) feed system.